When I was child my Nan would always bake me a birthday cake which would be the centre piece of my birthday party tea. I remember the shocking pink ballerina cake which was a construction worthy of an architectural award. On Christmas Eve there would be a mad midnight making of royal icing in order to form the perfect snowy peaks on the rich fruit cake. This would be accessorized with toppers dating from when my Mum and Uncle were children. Cake decorations from across the years. For school fairs there would be the chocolate loaf cakes topped with chocolate ganache, glacé cherries and walnuts. I have never found the recipe for this wonderful treat. The most controversial bake my Nan was famous for was the jam butties she made especially for day trips and holidays. 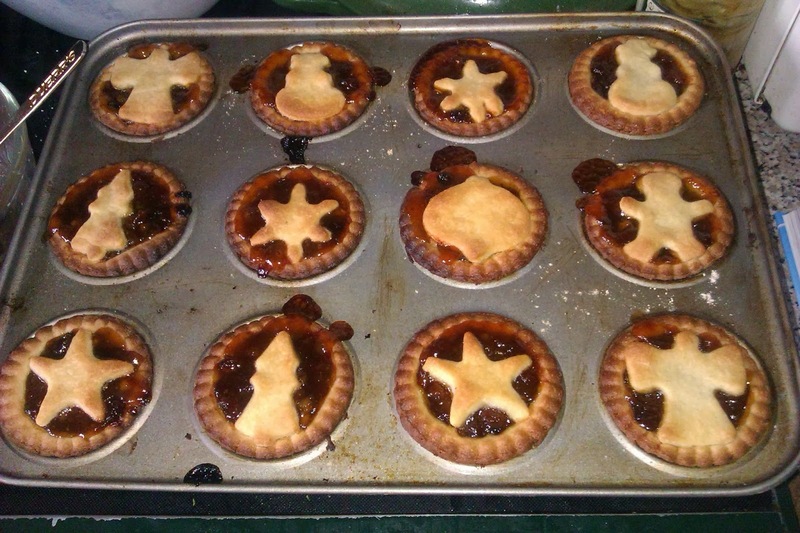 Shortcrust pastry filled with jam with pastry lid – what's not to like? Apparently I was the only member of the family who liked them. Always a favourite of mine - homemade pastry treats. By the time I had left for university I had already amassed a number of recipes to take with me only to find upon my arrival at the halls of residence that the kitchens contained no ovens, just a hob and a microwave. It seems that the students were rather forgetful about turning off the ovens which resulted in a number of blow-outs. Three years of living in halls and I never got near an oven once. The original university recipe folder with microwave pudding instructions. So why all this nostalgia? It seems many of have fallen for the simple pleasure of home baking inspired by BBC2's Great British Bake Off. Now in its fourth series each week over 5 million viewers tune in to the watch the contestants battle it through their signature bakes, technical challenges and show-stoppers while risking disaster through under-proving bread or the dreaded soggy bottom. We can't get enough of The Great British Bake Off, its judges and winners. Once you've gathered together a selection of tins and utensils home baking becomes far cheaper than buying massed produced shop products. If you are going to make some gorgeous looking cakes you may as well use some great looking accessories and storage. For that essential retro feel check out Tala's 1960's inspired vintage range. With such pretty styling you won't be wanting to push them to the back of the kitchen cupboard. You can find these Tala products plus more on the Handy Household website. Images used with permission of Handy Household. Cooking from scratch means you know exactly what is going into your recipe. Cupcakes can be made from just the four basic ingredients of sugar, flour, butter and eggs. Adding your own flavourings is all part of the pleasure in both the creating and eating. Shopping for clothes may give you an thrill but the same can't be said for buying a packet of long-dated cake slices. It's no surprise that an old estate agents' trick to make your house seem more homely and therefore more sell-able is to have your home smelling of baking. One of the best smells in the world! 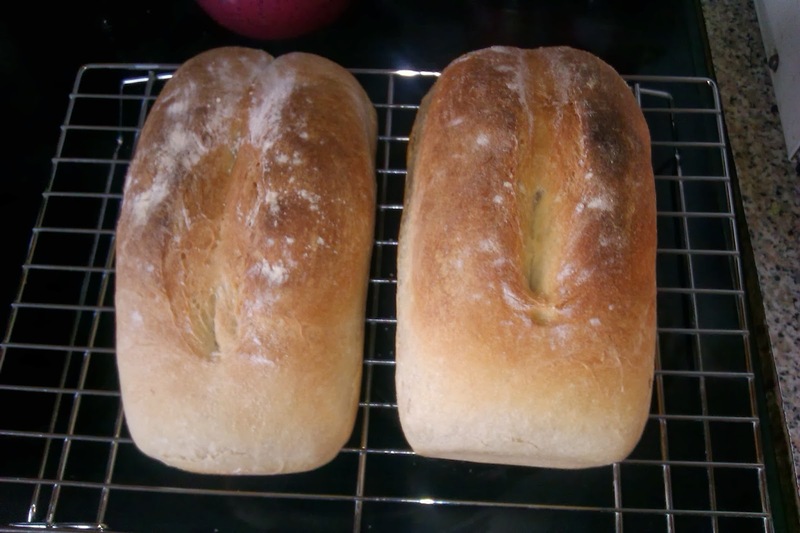 Freshly baked bread. So are you new to baking, starting over after a long break or is it something that you have always done? One thing's for sure – it's time to bake! This is a sponsored post on behalf of Handy Household. The views, words and opinions are my own.